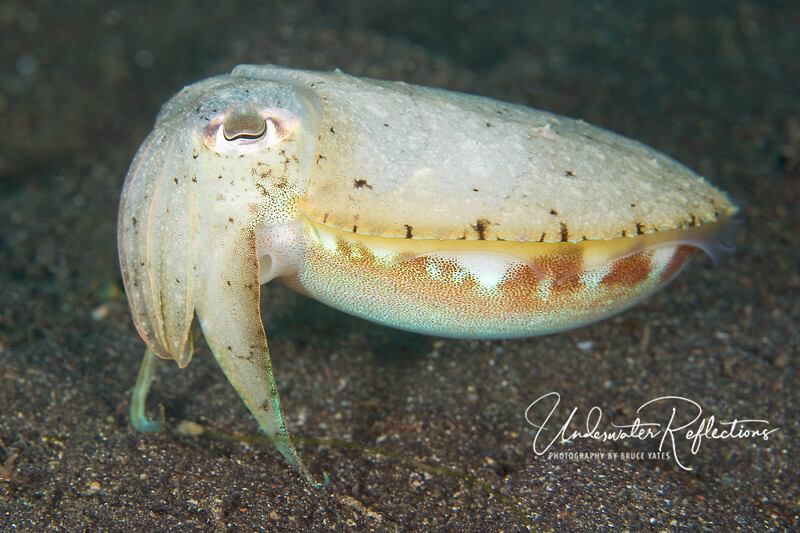 "Walking" cuttlefish (4-5 inches long) - this was behavior I've never seen before. The cuttlefish used two of its tentacles as if they were feet, and walked a considerable ways along the sand. I have no idea why!